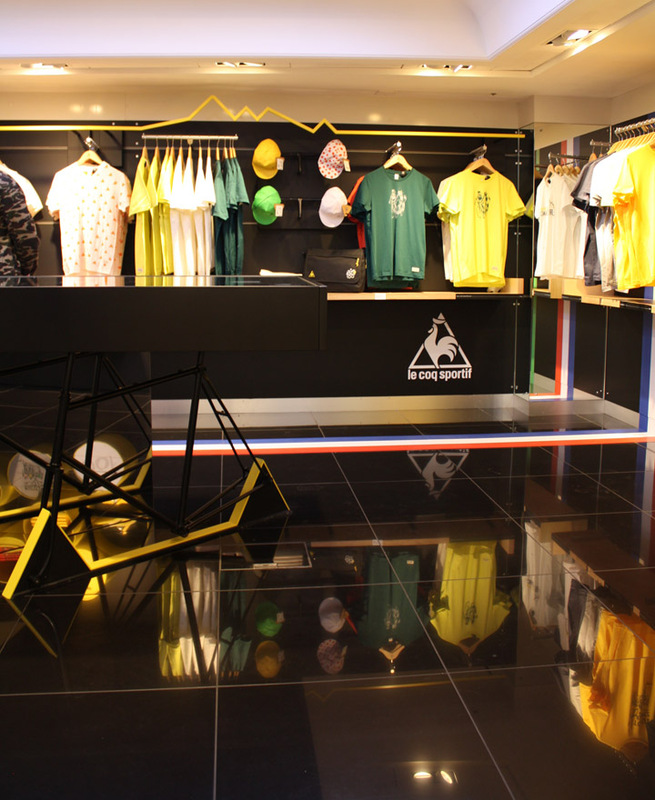 To commemorate the centenary year of the Tour de France we have created a shop-in-shop which celebrates the Le Coq Sportif’s involvement in this iconic race. 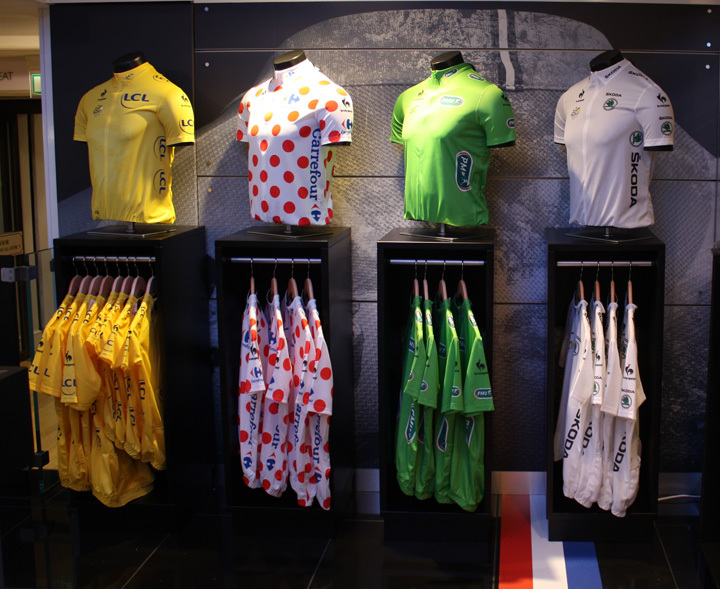 For the 100th anniversary of the Tour de France, the brand is sponsoring the iconic ‘Maillot Jaune’ (yellow jersey). 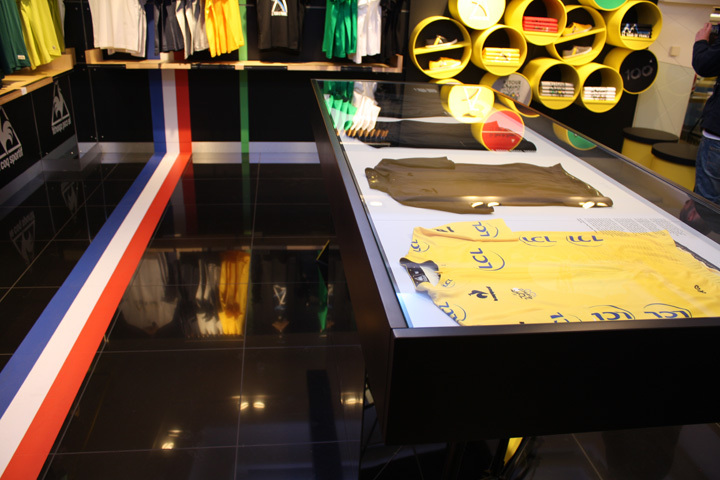 Marking the occasion they have also designed a limited edition clothing range, producing just 100 of each item, this range will be sold through a bespoke Tour de France installation that we have created for Le Coq Sportif in Harrods. 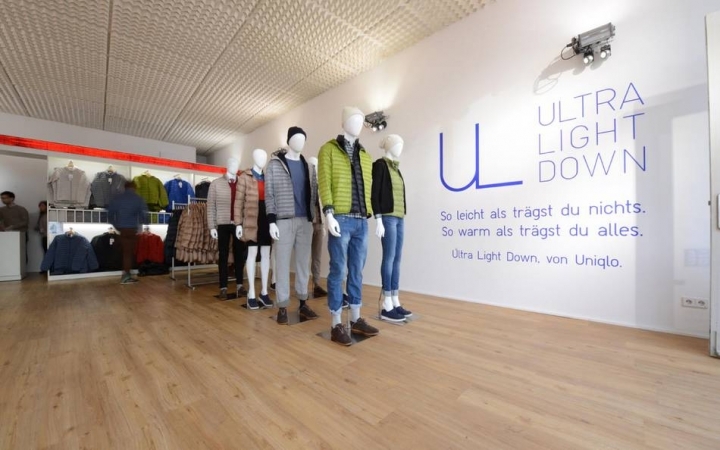 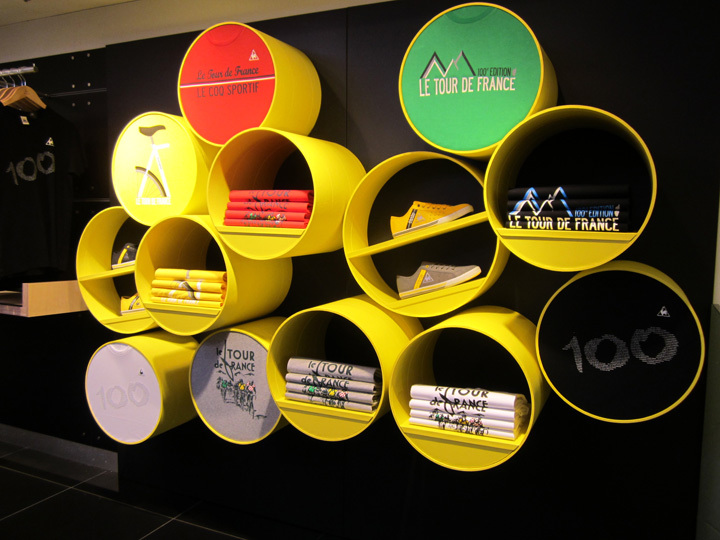 The central theme of the design is a yellow ‘mountain range’; depicting the stages and gradients of the Tour, it creates a hanging rail off which shirts can be merchandised, whilst product below sits on shelves marked with the names of the various stages of the competition. 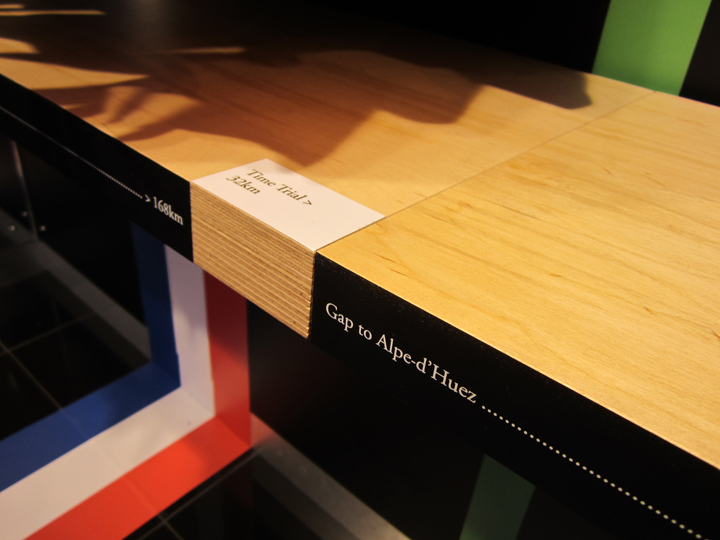 Continuing the theme we designed a glass topped display case to present the limited edition range which sits atop bike frame legs, alongside racing handlebars are mounted on the walls to merchandise caps.